Frantic Mama: IS there a Glamorous Side to Motherhood? IS there a Glamorous Side to Motherhood? Recently, someone on Twitter made a funny jab at my blog's tagline (The Less Glamorous Side of Motherhood) with the statement, "so this implies there is a glamorous side?" Ha! Point taken. It did make me think twice, though. But, again, I came to the realization that Yes! There most certainly is a glamorous side of motherhood. It is displayed to us on a daily basis. In some ways, it's what we strive for. Glamour is: Princess Kate, with perfect hair and an amazing dress, exiting a private plane with her bouncing baby boy. Or, on a more global level, it is the photos of our smiling, well-groomed families featured on Christmas cards. The gorgeous shots and anecdotes shared on Facebook. Fancy diaper bags and expensive baby gear. A beautiful nursery. It can even be the moms we encounter in our daily lives, those we see from afar at the park or school, who look relaxed and put together, accompanied by perfectly behaved children. (A very glamorous photo of out family taken by my friend Michele at mQn Photography on a lovely fall day. What you didn't see? My daughter's constant runny nose and me bribing my son with fruit snacks). This is where Frantic Mama comes in. It's a behind-the-scenes look at Motherhood. It's the work that goes into giving your kids, say, a "Happy Easter"-- painting 3 dozen eggs, waking early to hide said eggs, keeping everyone's church clothes [decently] clean, getting to church relatively on time-- and the countless photos we take to get that one amazing shot we can then share on Facebook or on the annual card. The less glamorous side is the one we groggily face when we wake up with a newborn several times a night, and then, tired and weepy, play cars with a 2 year old the following day. It is the flight to and from the sunny beach vacation. It is eating chicken nuggets for dinner. It is the coffee maker breaking right before you host a big playgroup. (All true stories for me). Here's the rub: I love the glamorous side. There is nothing wrong with the glamorous side. It's what sustains us, isn't it? 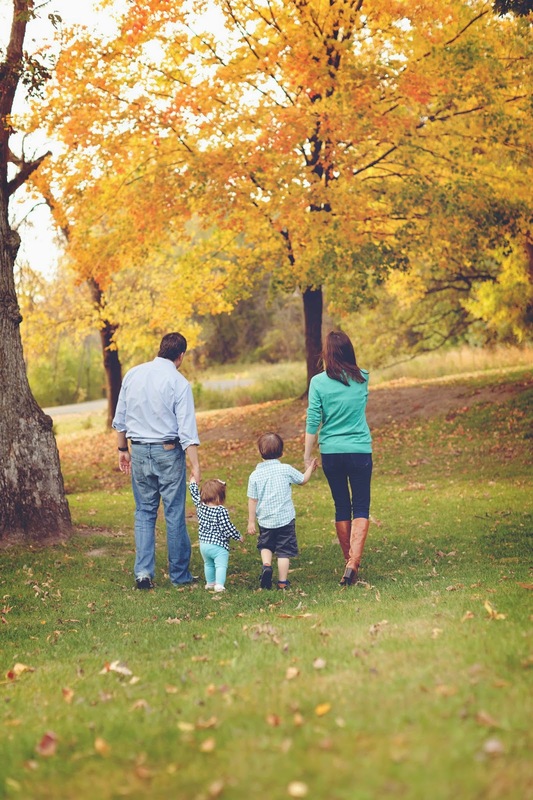 Despite the effort, I will always treasure the photos my friend took of our family last fall. Regardless of the nerve-wracking plane rides, I will never forget running around on the beach with my little kids and swimming with them in the ocean. Even with all the anticipation and worry, I am so proud of my anxious son for being a handsome little ring bearer at a big wedding last summer. I feel happy and full of pride during those moments when my kids show their best selves during a performance, a Christmas party, or some other get-together. And, yes, Princess Kate makes a beautiful mother. So the tagline will continue with full force: for all of the wonderful moments I share and don't share on the blog, the majority of what I post on Frantic Mama is the less glamorous side of Motherhood, where I try to laugh at the green crayon on the walls, the sticky jelly fingerprints on my old black yoga pants, and the all-too-frequent bleary-eyed early mornings. Perhaps there's even a certain glamour in that-- the very transient nature of life with young children. I would really appreciate it if you followed me on: Facebook, Twitter, Pinterest, Google+, and/or Instagram! Thank you so much for your support. I am honored and humbled to contribute to: Mamalode and What the Flicka?